Forget what you think you know about car boot sales. All traders are hand-picked by the Hemingway team and you will find some of the tastiest food around all served out of vintage vehicles. 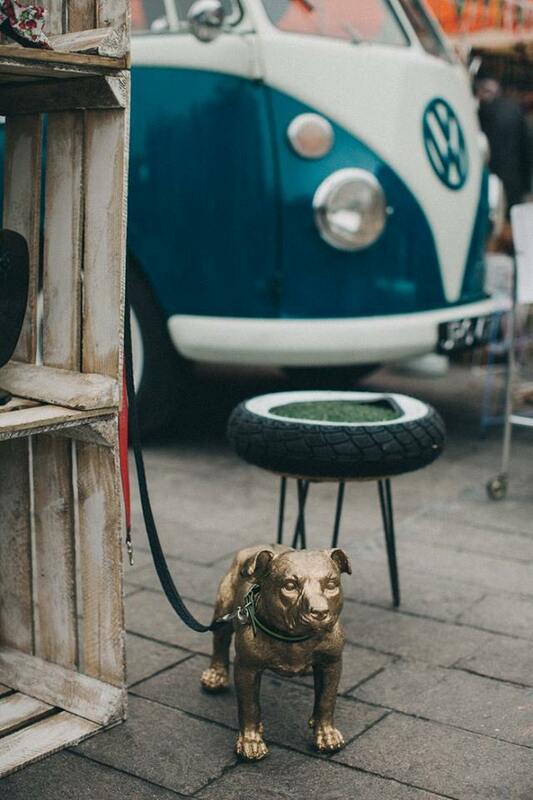 I was tempted to annihilate your inbox with atmospheric photos from The Classic Car Boot’s Facebook account (photo credit to Mykola Romanovsky http://www.romanovsky.photography) from last month but encourage you to visit and peruse at your leisure. It is a real feast for the eyes and will have you translating each face for meaning and looking for hidden treasures amongst the classic cars and London brick. Of course we were there serving up the hot coffees for all the cold punters as it was a chilly weekend in London Town but that didn’t stop the cars, dancing, cycling and amazing vintage outfits from coming out of the woodwork. Always a pleasure and looking forward to next year. I’ve developed a liking for sourdough bread and was keen to find out the science and learn some tips about how to bake the best loaf. So, I booked myself on the half day course at the wonderful School of Artisan Food https://www.schoolofartisanfood.org in Nottinghamshire’s Welbeck estate. It’s a beautiful place, located in Sherwood forest, you feel inspired to join the impressive ranks of artisan food alumni just driving up the long drive to the school. You may recognise it’s founder, Alison Swan Parente, from the BBC two series, Top of the Shop (https://www.schoolofartisanfood.org/page/top-of-the-shop) who began the school from very noble and admirable intentions – baking and making can change lives. The School is a registered charity and, as a not-for-profit institution, is committed to providing the widest possible access to its facilities. This was my third time and each time I come back inspired and determined to be braver in the my business and my kitchen. I was lucky enough to be taught my David who had been made redundant and got through tough times by baking bread which then developed to him being a teacher at the school. He’s enthusiasm for the benefits of bread making are contagious and his knowledge enlightening – and like a true educator you can ask him anything. My own adventures in starting a culture have been mixed. First few days I meticulously added more flour and hand warm water, tucking it safely away in my airing cupboard to then forget about it when we had friends up for the bank holiday weekend and discover it had exploded. Not to be deterred by the failure of my first attempt I plan to start another in the high hopes that the next levain will become something of legend I can pass down to my children (so far they seem unimpressed by the idea). Any event, big or small, contact us to discuss our available options.